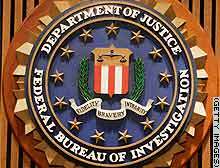 WASHINGTON (CNN) -- A just-released report slams the federal government for failing to coordinate the work of U.S. law enforcement agencies overseas to fight terrorism. The Government Accountability Office found that in one country a lack of clarity about the roles and responsibilities of the FBI and the Immigration and Customs Enforcement agency may have compromised several investigations intended to identify and disrupt potential terrorist activities. The GAO did not name the country in its report. The White House has long issued directives asking that U.S. law enforcement agencies assist foreign nations' anti-terrorism efforts. But the report finds that embassy and law enforcement officials told the GAO "they had received little or no guidance" on how to accomplish that. The issue of roles and responsibilities "remains unresolved and is still subject to ongoing debates within the administration," it said. The 2003 National Strategy for Combating Terrorism instructed the State Department to develop and coordinate U.S. counterterrorism policy abroad, but the report says that was not done. The 2004 Intelligence Reform Act shifted that responsibility to the National Counterterrorism Center and, although a general plan has been drafted, it has not yet been implemented. "As a result of these weaknesses, LEAs [law enforcement agencies], a key element of national power, are not being fully used abroad to protect U.S. citizens and interest from future terrorist attacks," the GAO concluded. For national security reasons, the GAO did not name the four countries its investigators visited, describing them only as having "key roles in combating terrorism." In one country, described as an "extremely high terrorist threat to American interests globally," the State Department provided six times more funding to stop illicit drugs and crime than it did for anti-terrorism assistance, the report said. In another country, an embassy official said most training and assistance funding from the U.S. was dedicated to counter-narcotics efforts "even though drugs were no longer a strategic concern in that country." Also, the report revealed that information about terrorists is not always shared or acted on. Generally, embassies retain "pre-9/11 structures" for information-sharing and collaboration, the report said, and have not been reconfigured "in a collective effort to prevent another terrorist attack on the United States or its interests." An "extremely high terrorist threat," nation had never been asked to try to identify or disrupt any of the terrorists on the most-wanted lists of the departments of State or Defense, or of the foreign nation itself, an FBI official told the GAO. The agencies involved blamed these discrepancies on shortages in staffing and funding, according to the report. One FBI agent told investigators that a nation considered a high risk for terrorism had never been instructed by the U.S. to disrupt those plots.